In this blog post we will walk you through the range of options for light-filtering and room darkening shades from sheer to blackout, and then introduce you to a number of innovative new window treatment products & design ideas that give you optimal performance day or night! Depending on location & exposure of your home, and the effect you are trying to achieve within a particular room; privacy and light control options can be the most important factor when deciding which new window treatments to purchase. 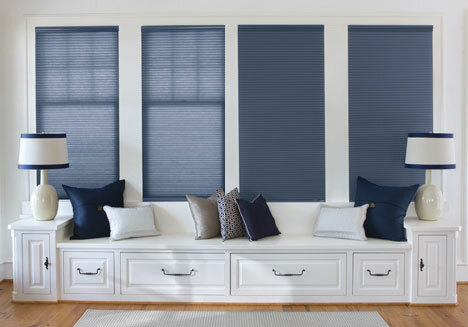 Whether you are looking to add privacy without sacrificing a view, or you work at night and need to sleep during the day, 3 Blind Mice can help you find a stylish and functional window treatment. While all window coverings implicitly offer some level of privacy and light control by covering the window, the degree to which particular window treatment will block light and prevent prying eyes can vary greatly between different types of window coverings, as well as style & fabric options for the same type of window covering. However, there are three main options for privacy & light-control including blackout shades, light filtering, and room darkening shades. At the sheerest end of the spectrum, light filtering window treatments are perfect for rooms where you want to add some privacy while keeping the decor light and airy, such as your den, kitchen, and/or living room. 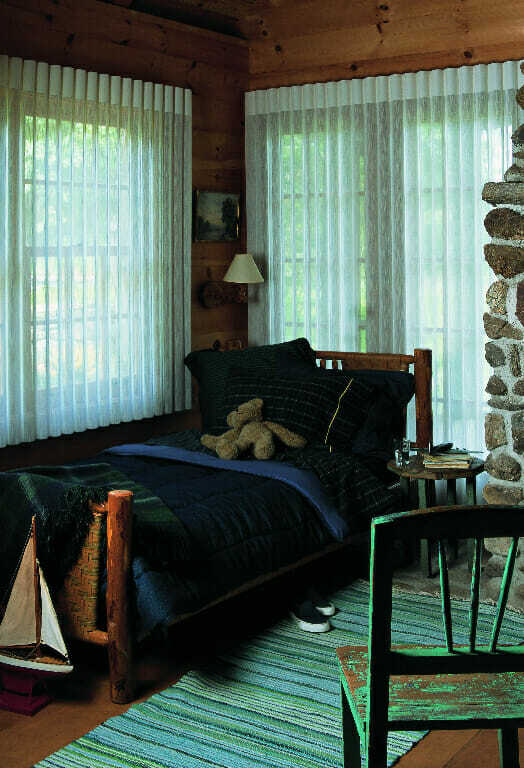 Light filtering shades and sheers are not only good for setting the mood, but these treatments also come in a variety of fabrics, patterns, colors, shapes, and sizes, making them a great way to complement existing curtains & draperies. Different types of light filtering window treatments include sheer shades, horizontal blinds, solar roller shades & screens, woven woods, cellular shades, and some Roman shades. If you are keen on the cellular shades, they are available with either light-filtering or room-darkening fabric as well. If you are looking for something a little more subtle than blackout curtains there are many options to help darken your room enough for a good nights’ sleep or to watch a movie. Room darkening shades (and blinds) are most commonly used for bedrooms or living areas where light control is important, and are typically a safer option to blackout curtains & shades because the halo of ambient light from the sides of the shades provide enough light to help you see your surroundings when navigating around the dark room. Options include room darkening cellular shades, room darkening sheer shades, woven woods with room darkening privacy liners, curtains with a blackout lining, modern Roman shades, and vertical blinds. 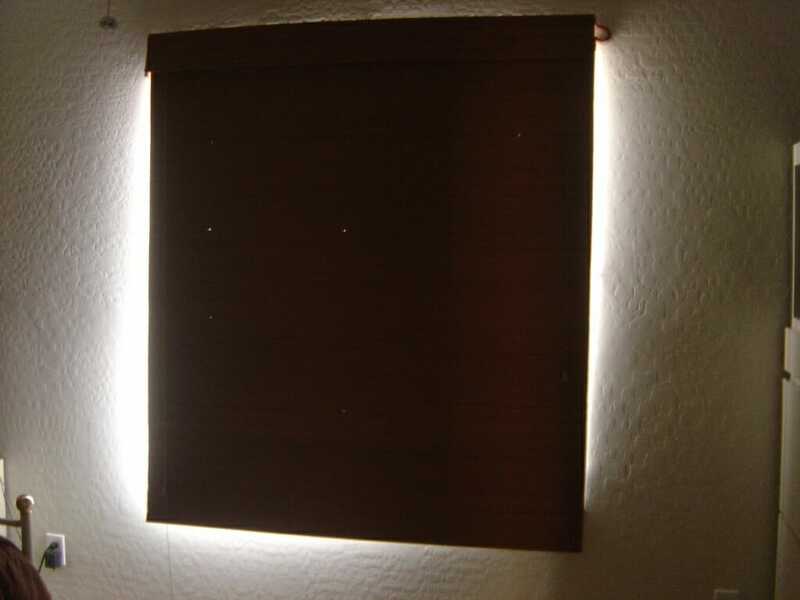 A true blackout window treatment blocks 100% of outside light and is most often used for rooms such as nurseries, bedrooms, photographer’s dark rooms, and movie/media rooms. While many shades & window treatments tout themselves as blackout, the term is frequently misused in place of room darkening shades because there is still a “halo” of light around the edges of the window treatment (see below). 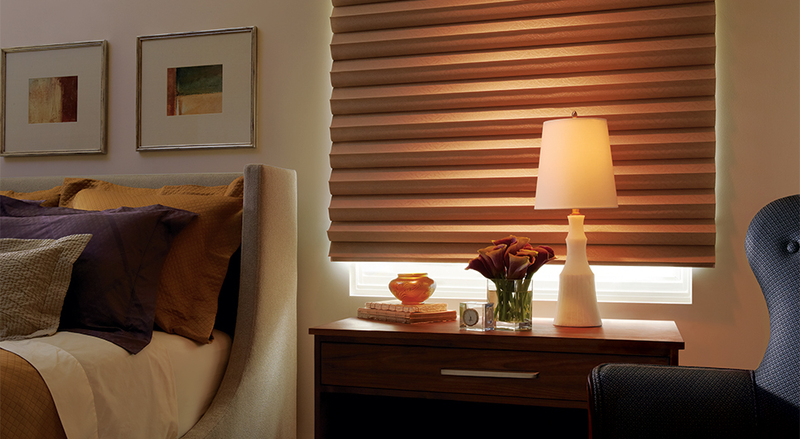 Using roller shades with side channels is just one option to help you achieve a completely dark room. The side channel which can come in aluminum, bronze, or white, depending on how you want to match them to your home. These designer roller shades come in many different colors, fabrics, and patterns, and can either come motorized or manual depending on your preference for ease of use. Watch two video demonstrations of these motorized blackout roller shades with side channels in action. If you’re looking to completely darken your room but maintain elegance in your decor, using motorized curtains with drapery tracks is a good option. Newer drapery tracks can curve around your curtains for an optimally dark room. And you have many options when it comes motorizing these treatments or setting up a manual pull system. 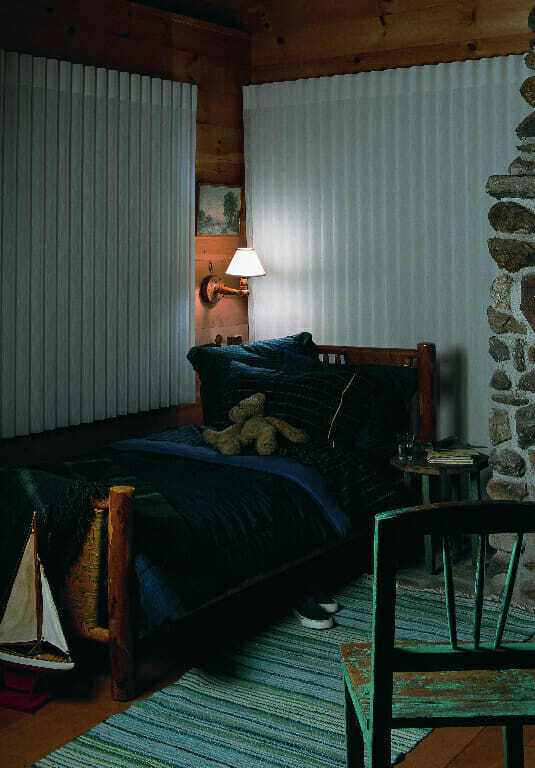 View our gallery of blackout curtains and blackout shades or watch this video (even though the fabric shown is not blackout) to learn more about the options available to you. One final way to eliminate the “halo” around the edges of an otherwise blackout window treatment is to create a multi-layer treatment that combines side panels and a valance or cornice box to stop the light at the edges and take your room’s decor to the next level. Multi-layer treatments can take your windows from ordinary to extraordinary while eliminating all light from your room. Combining a roller shade, with a patterned valance/top treatment, and patterned side panels are one of the many combinations you use. As shown in this video, beading is used to add extra elegance to your window coverings. As we have discussed, the options for adding privacy or darkening your room are nearly limitless, but what about window treatments that do both? 3 Blind Mice offers stylish 2-in-1 window treatments from brands including Hunter Douglas, Levolor and the hottest new product on the market by Coulisse. In the video below, you can see Coulisse’s Dual Roller Shade allows you to control light similar to a wood blind or sheer shade while giving you the clean look of a roller shade. As you will notice the bottom rail and head rail are finished with a nice nickel finish and straight lines. This product can be motorized or it does come in a manual operation. If you are seeking something on the sheer side of things, Hunter Douglas’ Silhouettes and Luminette Privacy Sheers are a soft beautiful drapery that has an innovative design that rotates 180 degrees for light control and privacy. The Silhouette can now manually tilt the vanes to manage light control for your room. These are also safe for children, eliminating the need for cords. And sheer curtains can be opened to allow light in and closed to completely darken your room, with a sheer front. Need Help Choosing Room Darkening Shades? Deciding between light-filtering, blackout and room darkening shades for your home may seem like an arduous task, but we are here to help.